While NaNoWriMo is the 10% process of spilling your words on the page, revision is the 90% that comes after. If we spend November on our first drafts, (optimistically finishing the first drafts of our novels) we will be confronted in December with the end results, and this means revision, revision, revision. I read somewhere (forgive me, I can’t remember where) that more people prefer revision to creating the original draft on a blank page. If that is the case, then December and the following year should offer a lovely present in the form of lots of raw material with which to work. For the rest of the writers, the detailed task of revision may be less pleasurable. Regardless, for any NaNoWriMo first draft novel to be viable, revision is essential. 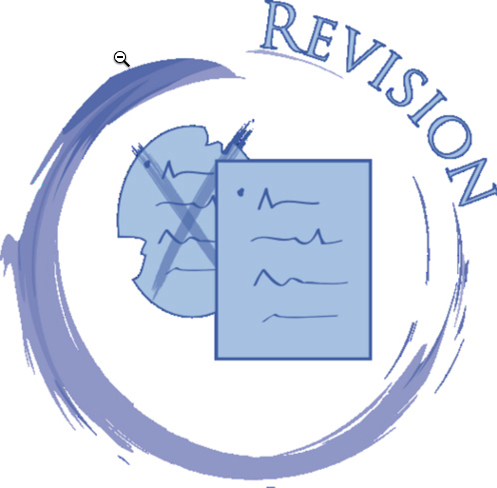 Revision, however, involves many layers: Developmental (or Content) editing; Substantive Editing; Copyediting; and Proofreading. Further, multiple revisions will likely be required, unless the writer is a fabulous first draft writer or reviser. I plan to participate in NaNoWriMo, but I’m well aware that the end result will be only the tip of my writing iceberg.